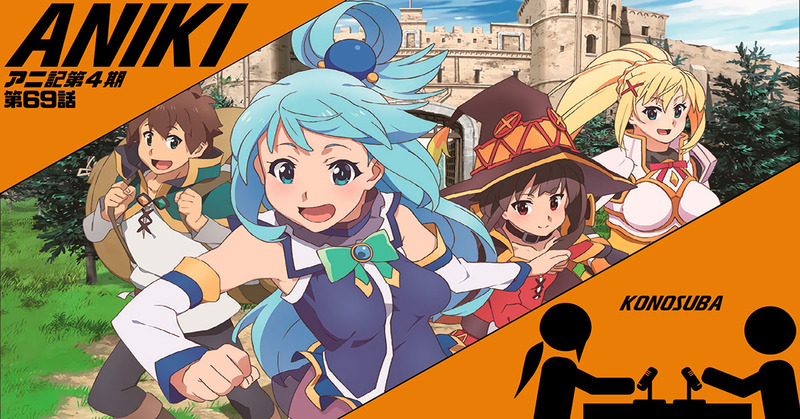 Despite his best efforts, Jon finally capitulates and watches one of Ben’s favorite recent comedies: KonoSuba: God’s Blessing on this Wonderful World! A parody of the isekai trope, KonoSuba follows Kazuma, a recently dead teen, who is tasked with saving another world from the Devil King, but instead of an ultimate weapon, Kazuma chooses the useless goddess Aqua to aid him in his quest. Will Kazuma be successful? Is Aqua ever useful? How much jiggle can you actually have in one show? Also featuring: the newest Magic the Gathering set, Bananafish, and Cells at Work.